Ready to Restore the Beauty of Your Hardwood Floors? Is it about time that you put some work into your hardwood floors? Fabulous Floors Cleveland specializes in restoring your floors to their original beauty! 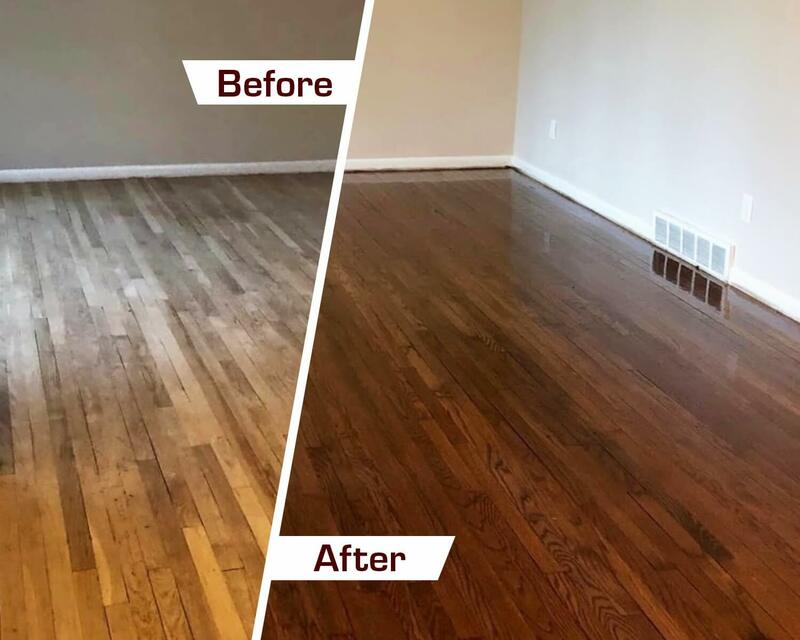 Years of experience in the industry have helped us perfect a technique for refinishing hardwood floors in Pepper Pike, OH. Our technicians are friendly, professional, and trained in customer service. We use only the best equipment the industry has to offer. You will enjoy having us in your home! Our customers agree: the hardwood floor refinishing service we provide in Pepper Pike is unmatched! We are also Greenguard Certified, meaning we take extra precautions to make sure our services are safe for both your family and the environment. Call us today and see how refinishing your floors can make a difference in your home! Our extensive time in the industry proves that our process is affordable, simple, and effective. We are masters in the art of floor refinishing! We recommend that you call us for an estimate to see what our service will cost. First, we start by removing any existing carpet with a chemical solution that detaches any sticky residue left behind. Next, eliminate any dings or scratches on your existing wood floors by carefully sanding them. Our powerful sanding machine is virtually dust free, so you won’t have to worry about cleaning up a big mess. After sanding, we apply a stain color of your choosing. We have over 20 vibrant colors to choose from! Finally, we apply multiple coats of our polyurethane finish to make your hardwood floors really shine and also protect them against future wear and damage.